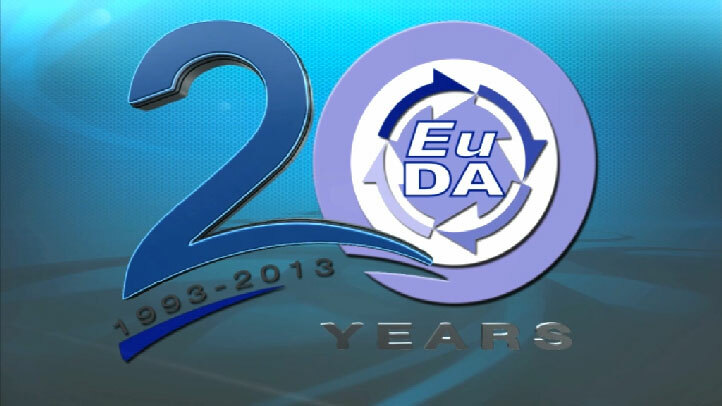 This year, the European Dredging Association (“EuDA”) celebrated its 25th Anniversary. The high-level event we organised, took place in the prestigious Bibliothèque Solvay in Brussels, on Thursday 15 November 2018 at 10.00am. In order to celebrate this important milestone in the lifetime of an Association, EuDA was honoured with the presence of Mrs Maria Asenius, Head of Cabinet of Cecilia Malmström Commissioner for Trade. Then EuDA gave the floor to high level stakeholders to present their views on some of our most impressive projects. The conference was followed by a networking cocktail and a festive luncheon. View the Conference Programme in detail and the Conference Attendance List. “Short introduction of the conference theme and speakers.. Presentation of the expansion of the Suez Canal. Presentation of Building with Nature projects worldwide. Presentation of the Sigma Plan and new perspectives for coastal defences worldwide. The recent rise of populism around the world is often accompanied with the rhetoric that protectionism is the “panacea” that will revive economic growth and create more “national” jobs. By hindering or blocking foreign workers or companies from accessing the domestic market, protectionism offers an apparently comfortable cocoon that provides a temporary relief to the domestic economic issues … but it often proves to be a short-term solution or a short-sighted decision. Indeed, in the medium- or long-term, the disconnection from global trade and the “protection” from global competitors provide major disincentives for these protected companies and jobs to further develop, invest or innovate. They will be “frozen in time” and while the quality of their products and services will at best stagnate, their processes will progressively grow obsolete and inefficient with regards to the global market. Their costs and prices will rise and cripple their global competitiveness. By freezing these selected sectors, protectionism progressively transforms them into a liability to their national economic partners. As global free trade champions, Europeans promote free market access and a level playing field worldwide. In the words of Jean-Claude Juncker: “As far as we [Europe] are concerned, there is no protection in protectionism”. Moreover, reciprocal treatment is essential when dealing with global sectors and may prove to be a key part of a healthy strategy to erode and ultimately eliminate protectionism. The conference opened with a short description of the possible globalisation illness affecting Europe. Then the speakers considered whether protectionism was a medicine to a right illness or poison pill and considered whether realism and reciprocity could lead the way to a globalisation wellness for Europe. Before concluding with an open discussion, selected cases of dredging against protectionism were presented. presenting “Is there a Globalisation Illness? from Globalisation Illness to Wellness…”. presenting “Protectionism and Realism? Fight against Protectionism and Need for Reciprocity”. New Opportunities for the European Dredgers? Since the Kyoto Protocol of 1992, the political wheel has been set in motion to prevent the threat from excessive Climate Change. The main attention and efforts have focused on the biggest anthropogenic source of greenhouse gas (GHG) emissions: CO2 emissions. All human activities need energy for their proper functioning and execution. 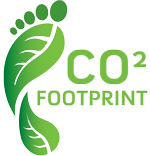 The most commonly available energy sources being of fossil origin, the carbon footprint of human activities have kept growing along with the development of the global society, sometimes at a faster pace. At the Paris Conference of the Parties (COP21) of the Climate Change Convention in December 2015, politicians agreed, in the now ratified and in force “Paris Agreement”, to set the absolute global target for the rise of the Earth temperature to 1.5°C, and to take differentiated actions at national level and at sector level. Among these sectors, transportation is a significant source of CO2 emissions and has to contribute to the global reduction efforts. Maritime transport is the lifeblood of modern society, supplying energy, food and commodities as well as catalysing global economic development and prosperity. Although shipping is the most environmentally-friendly and energy efficient mode of mass transport (on a tonne-mile basis), it also needs to contribute its share to the global CO2 emissions reduction efforts. As members of the shipping community, European Dredgers continuously work on reducing their emissions, by improving fuel efficiency of their equipment (through ship design, better performing engines, etc.) and by improving their best practices to optimise the fuel consumption during operations. CO2 emissions reductions however cannot be fully disconnected from global economy nor from global trade. Therefore, the absolute emission targets set in Kyoto or in Paris cannot be achieved with relative measures improving performance and efficiency of vessels unless the global economy and its related demand for waterborne transport are collapsing. In order to achieve absolute targets regardless of the general state of global economy, actions on the improvement of vessels’ efficiency and performance should be complemented with actions targeting directly atmospheric CO2 concentrations. With their expertise, European Dredgers can contribute to this objective by creating new or restoring marine habitats that are natural carbon sinks, known as Blue Carbon. European industries should pursue their efforts of reducing their CO2 footprint but should also consider integrating Blue Carbon components into their strategies. European Dredgers can build multipurpose waterborne infrastructures that would contribute to these CO2 strategies to the project owner’s through increased carbon capture and long term storage of CO2. The 2016 EuDA Annual Conference opened with an overview of political initiatives to reduce CO2 emissions from ships and or dredgers at IMO, in the EU and in the Netherlands. In the last presentation of the conference, the possible solutions proposed by the European Dredgers were briefly described. View the Conference Programme in detail and its complementary annexes. presenting "Overview of the of IMO’s initiatives to reduce CO2 emissions from ships". presenting "Overview of the of EU’s initiatives to reduce CO2 emissions from ships". presenting "Experiences in tendering with the CO2 performance scale in The Netherlands". presenting "Possible Solutions from the European Dredgers?". The Think Climate coalition partners are collaborating on an initiative entitled NAVIGATING A CHANGING CLIMATE. The latest version of the Position Paper, which sets out the objectives of the Navigating a Changing Climate initiative and summarises the activities proposed in the Action Plan, can be found here. The detail of the Action Plan can be found here. More details about the activities of PIANC’s ‘Think Climate’ coalition can be found here. Governments’ interventions in competitive markets impact on the functioning of these markets: they set the general rules of “unhindered and fair competition” and in some cases bend these rules to favour the one or the other national champion. Financial support provided by governments to companies is distorting competition and can take many forms. The conference will focus on two such approaches with opposite objectives and effects on the global dredging markets. The competitive advantages developed by the European dredging companies to allow them to compete on the global markets and remain leaders in their trade include high added value specialised services, high productivity and high environmental friendliness when delivering resilient waterborne infrastructures. As far as large complex infrastructure projects are concerned, the other worldwide competitors cannot match the level of the European Dredgers’ services in quality and in price. In unbiased and open markets, Europeans have demonstrated their strong dominance with over 80% of the open world markets. When some non-EU countries decide to bend the rules, they take measures that keep foreign competition off their domestic market and, additionally, they can also provide unfair advantages to their national companies competing outside their domestic market. One of the most commonly used schemes on non-domestic markets is Tied Aid, whereby large amounts of development aid are granted to a targeted country (usually a resource-rich developing country, non-signatory of the WTO Government Procurement Agreement) with the explicit condition of using exclusively the donor’s national contractors for the development works. The consequences are severe distortions in these markets or even temporary closure to any foreign competition (for as long as the donor’s aid lasts). However, unfair competition practices are like coastal erosion: markets are eroded and lost at a steady pace. Left untackled in the long term, these practices can wear out even the most resilient of companies. This is why Europe has developed counter-schemes aiming at reducing competition distortions on global markets and reinforcing level playing field. One of the financial instruments used by Europeans to reduce distortions on some global markets is the State Aid Guidelines to Maritime Transport, which stopped the deflagging of European vessels and avoided the complete relocation of the maritime industries outside Europe. The EuDA 2015 AGM Conference opened with an overview of the European State Aid Guidelines to Maritime Transport, selected Tied Aid cases were presented and then possible ways forward for the European Dredgers were looked into. For the Conference detailed programme: click here. For the Conference Participants' List: click here. presenting "Overview of the State Aid Guidelines to Maritime Transport". presenting "Examples of Threats in Europe". presenting "Examples of Threats around the World and What’s next for European Dredgers ?". For the Conference key messages: click here. Active Communications International (ACI), a leader in conference planning and production, is organising a two day “European Dredging” Summit on 7th – 8th in October 2015 in Antwerp. How Are Recent Regulatory Changes Affecting Dredging Projects? The Summit's Speakers will provide a global analysis of dredging projects, environmental regulation and essential recommendations for dredging activity including equipment and contractor selection. ACI’s European Dredging Summit will allow you to learn and understand successful case studies, along with exploring the latest technology advancements. The Summit is mainly targeting the senior management of companies and administrations based in Europe and involved in projects taking place in Europe and across the globe. ACI, benefitting from a thorough research on the topic and market, will bring together the right companies and the best professionals to share their “job story”, amongst Port Authorities, Harbour Masters, Port Managers, Bulk Terminals Managers, Project Owners, Local Authorities, Government Officials, Environmental Managers, Approvals Managers, Marine Engineers, Geotechnical Engineers, Infrastructure Managers, Operations Managers, Port Engineers, Hydrographic Surveyors/ Geologists, Civil/ Environmental Engineers, Consulting Engineers, Dredging Contractors, Dredging Technology Providers, Dredging Managers, Civil/Dredging Managers & Engineers. They will attend to this interactive conference in order to build strong relationships, maintain competitive advantage in the marketplace and discuss with key industry leaders who will share their insights and real-life working experiences with the audience. EuDA is a supporting organisation and as such will provide Speakers and promote of the event. Join us in Antwerp to exchange your point of view with your peers and engage in excellent networking opportunities ! During the afternoon of 6th October 2015 up to 30 conference attendees will receive a unique opportunity to participate in the above mentioned site visit. EuDA members are entitled to a special discount on registration (Contact EuDA Secretariat: +322/6468183). Event’s website: click here. Latest agenda: click here. We welcome you to join our leading experts at Europe’s cutting edge “European Dredging” Summit! In today’s policy discussions, Climate Change Adaptation (CCA) is about controlling the consequences of the rising temperature of the Earth due to excessive anthropogenic emissions of Greenhouse Gases in the atmosphere. CCA strategies aim at mitigating the climate change consequences on vulnerable areas and building up their resilience. The main threats from climate change include sea level rise, increased temperature of the seawater surface, changes in (seasonal) precipitation and hence river flow, increased frequency of extreme events (floods, draughts, storms, surges), … there are some certainties in which direction the challenges go but there are also uncertainties on how to deal with those. Uncertainty can be reduced by building new knowledge and by developing new ‘adaptable’ approaches, such as adaptive management and monitoring. With 80% of the largest population centres located along the coasts, the potential for climate change related (natural) disasters is significant on both human populations and marine, estuarine and fluvial ecosystems. The need for action to protect vulnerable areas and increase their resilience is real and urgent: first the planning, then its execution. Dredging knowledge, technology and know-how are indispensable instruments that and offer varied solutions for the adaptation to climate change in vulnerable coastal and inland areas. For instance, dredging know-how contributed greatly to the design and construction of the ‘10,000 year storm’ defences for the port of Rotterdam. Other examples include the beach parks Køge Bay and Amager in Denmark which combine flood protection with ‘engineered nature’ in the form of lagoons, and high quality artificial beaches. Sustainable approaches and philosophies such as “Working with Nature” and ‘Building with Nature’, which aim at harnessing the forces of nature, both in physical and biological terms, are increasingly integrated into project design and execution offering innovative, sustainable solutions. The joint EuDA-CEDA workshop presented and discussed the views of academics, policy makers and practitioners on sustainable concepts and examples for planning and executing of CCA projects in coastal, estuarine and fluvial systems to transform the threats from climate change into opportunities for humans and nature. For the Workshop detailed programme: click here. presenting "Setting the frame: sustainable dredging and climate change". presenting "Adaptation, preparing for a changing climate". presenting "CCA, Dutch national strategy, policies and actions". presenting "CCA, the case of Port of Le Havre". presenting "The Dredging Contractors’ Point of View on Sustainable Dredging Approaches to Climate Change Adaptation". At the initiative of the European Community Shipowners' Associations (ECSA), shipowners and shipping industry leaders have joined forces and organised the first European Shipping Week (ESW) from 2nd to 6th March 2015. (for a complete overview of the week's events and additional information: click here.). Centred around a Flagship conference, Europe's main shipping organisations as well as the European Commission organised a series of high level events bringing together the major players in the shipping industry to promote the strengths and the importance of European and global shipping to legislators in Brussels such as the European Commission, European Parliament and the Council of Ministers. As shipping is of strategic importance to the EU economy, so is its safety. Maritime safety policy and related legislations promote high-quality standards and aim at increasing the protection of both human lives (e.g. passengers and crews) and the environment (reduce risks of pollution). As a member of the ESW Steering Group, the European Dredging Association (EuDA) organised on 5th March 2015 a seminar on 'Innovations improving Maritime Safety ' followed by a technical visit illustrating some aspects the technological solutions offered by the dredgers. Opened by a Welcome Address by Mr Joachim Coens and an Opening Address by Mr Markku Mylly, EMSA Executive Director, the Maritime Safety aspect on which the seminar focused was the 'safe place of refuge'. Indeed, during the seminar, EuDA presented specifically designed artificial islands using hydraulic engineering or naval architecture, combining sand and rock or metal, which could be used, amongst other purposes, as innovative solutions for safe places of refuge for sea vessels. The seminar briefly touched on the feasibility of building a kind of safety belt around European Waters but concluded on the potentially significant contribution to Blue Growth in and outside Europe. Ms Barbara Sellier, Policy Officer and EMSA Liaison for the Unit in charge of Maritime Safety, concluded the seminar and gave the closing address. EuDA members strongly believe that the growth potential for the dredging industry in Europe and worldwide lies in the design, construction and maintenance of sustainable multipurpose maritime infrastructures: using, instead of fighting, the forces (physical and biological) of nature to build multipurpose maritime infrastructures providing services beneficial to the environment, the society and/or the economy. The rising of the level of the oceans will also automatically generate the need of protecting vulnerable coastal areas. The coasts of the world have to be protected from erosion, from floods, from storms and raising sea level. Renewable offshore energy from wind, from tidal forces or from waves, are becoming also an ever increasing playfield for the dredging industry. The future of the dredging industry lies in the sea and the growing world population will have to integrate the sea in its daily life. For the short introduction to dredging presented during the technical visit: click here. For the seminar's overview and key messages: click here. For the Participants' List: click here. FIPRA International Special Adviser on Maritime Affairs, moderating the conference. presenting "Integrated Coastal Zone & Coastal Seas Management: Views and Pleas by Dredging Contractors". presenting "Scalable Modular Large Scale Floating Offshore Platforms". presenting "Possible sources of financing for artificial 'safety' islands". Trade is an essential part of human activities since prehistoric times. With the exchanges of products, services and knowledge inherent to its nature, trade contributed to economic as well as to scientific and cultural development of the human societies around the world and helped them transform into today's globalised human society. Trade development is inseparable from transport. Transport technology and infrastructures helped establish, maintain and develop the trade flows. Thanks to international shipping, the links between the trade network nodes have been further multiplied and expanded from local, to regional, to international and now global with the port networks connecting their multimodal logistics chains. Along with the trade routes, systems and measures were quickly invented to capture some of the wealth and opportunities of the passing merchants. Not long after trade started, Trade Barriers were also raised to protect the local industries from foreign competition. However, the protection of local industries produces in the long term negative side effects that can overall counterbalance the initial short term benefits. In the worldwide dredging markets, many types of Trade Barriers have been put in place to restrict or to exclude foreign competition. At best, European Dredgers are prevented from delivering the full extent of their added value and, at worst, they are prevented from accessing closed markets. With the development of trade, Trade Barriers were further refined and, along with the tariff and non-tariff barriers, came their antidotes with the 'panacea' being the free trade agreements. Following the recent failure of the 'multilateral' negotiations of the WTO Doha Round, the direct 'bilateral' Free Trade Agreements (FTAs) between economic zones have been reactivated. The EuDA Conference opened with an overview of Trade Barriers around the world and look into the way trade negotiations can manage to lift some of them with the recent example of Canada and US. The Conference concluded on the possible ways forward for the European Dredgers. EuDA Secretary General, moderating the conference. presenting "Overview of the main Trade Barriers around the World". presenting "EU Trade Negotiations with Canada and USA". presenting "Possible ways for European Dredgers to enter the US Market". For the past 20 years, European Dredgers have built up momentum and increased their strength and resilience as individual companies but also as a united and reputable sector organisation. Thanks to maritime transport, the main vector for globalisation, the world has become an ever closely connected place. As a consequence, more and more economical and social activities take place and further develop along the coasts. The European Dredgers were very quickly faced with challenges such as increasing demand for space and resources (including offshore energy and marine aggregates) in the context of the increasing need to protect our environment. Thanks to a long term cooperation with universities and hydraulic labs and also to continuous investment in advanced and high tech equipment, the European Dredgers have developed innovative solutions and new approaches, integrating nature (both physical and ecological aspects) already at the design phase. After 20 years, the European Dredgers are no longer known as the "mud pushers" but as the well respected world leaders in a diversified industry segment of high strategic and economic importance. Their knowledge and capacity have allowed the European Dredgers to tackle innovatively many of the world's new challenges, including the modernisation of ports and their adaptation to the new reality of seaborne trade, the protection and adaptation of coasts to climate change, the procurement of diverse services to the offshore infrastructures. In its own way, the dredging industry is also a vector of globalisation. With the increasing impact of European legislation and policies on their business, European Dredgers decided to join forces and established in December 1993 the European Dredging Association (EuDA). Since then, EuDA has grown into a reliable and reputable European maritime association, shaping European legislation and policies, focusing on transport, environmental, social or trade issues, as well as international, essentially at IMO and ILO. In order to celebrate in style this important milestone in the life of an association, EuDA has the honour of having a keynote address by Commission Vice-President and Commissioner for Transport & Mobility, Mr Siim Kallas. He will be followed by eminent speakers presenting the innovative projects by European dredgers around the world. presenting "Maasvlakte (1) vs Maasvlakte 2, from rocks to sand". presenting "Port of Melbourne's expansion". presenting "Artificial islands as alternatives to offshore rigs in Abu Dhabi". presenting "Artificial islands as alternatives to offshore rigs in Saudi Arabia". In the global transport logistical chains, maritime transport plays a critical role: around 90% of Europe's international trade and 40% of the intra-EU trade is done through maritime transport. Maritime transport is a catalyst of economic development and prosperity, ensuring security of supply of energy, food and commodities. One of the reasons for such a success is that Maritime shipping is the most environmentally-friendly and energy efficient mode of mass transport (on a tonne-mile basis). Indeed, while moving a considerable part of world trade, shipping is only a modest contributor to the total global CO2 emissions (currently around 3.3%). In view of the pressures to reduce global greenhouse gases (GHG) emissions, in particular CO2 emissions, the shipping sector has been preparing to make its contribution. Reducing CO2 emissions from shipping can be achieved through technical solutions (e.g. improving fuel efficiency through more energy efficient ship designs, better performing engines, etc.) and operational solutions (improving the best practices and optimising the fuel consumption en route) combined (or not) with market incentives. The conference's speakers presented an overview of the current international and European legislation on CO2 reduction, highlighting the technical and operational measures already put in place by IMO. Global industries, such as shipping, need global legislation to guarantee fair competition. Among the international legislative (UN) bodies, IMO is the best suited forum to legislate on CO2 emissions from shipping. However, EU policies have a key role to play in reducing CO2 emissions. Then they presented the concrete example of the airline industry and the lessons learned so far. The conference highlighted the key aspects for dredging vessels and concluded with the views of the European Dredgers. Technical Manager at the International Chamber of Shipping (ICS), presenting the International legislation on shipping CO2 emissions. European Commission, Cabinet Member of Commissioner Connie Hedegaard in charge of Carbon Markets, presenting the European Policy on CO2 emissions and the Case of Emissions Trading Scheme of the Airline industry. Chairman of the EuDA CO2 Working Group, Tender Manager at Van Oord, presenting the Specific Situation of the Dredgers and Position on Market Based Measures. Sea-Level Rise, threat of Natural Disasters, such as earthquakes, and further exploitation of Ocean Energy Sources are among the most important topics on the political agendas in Europe and around the world. While most efforts are concentrating on the prevention of the causes of Climate Change, mainly on the anthropogenic sources of greenhouse gas emissions, little debate and attention is given to the adaptation to Sea-Level Rise. Adding to this, our coasts can also be threatened by Natural Disasters, which can strike without warning. What can the European Dredgers do to prevent or reduce the damaging effects of such events? And what can they do after their occurrence? Along with the reflection on how to reduce greenhouse gases emissions, the political debates on the international scene also focus on how to reduce fossil fuel dependence and on the search for sustainable alternative sources of energy. Although covering the majority of the Earth's surface, the oceans host some of the most promising, often renewable, and largely underexploited energy sources. Which are the possibilities of cooperation and project development between the European Dredgers and the ocean energy exploitation? After setting the scene, this conference will focus on the possible solutions the European Dredgers can offer to prevent or mitigate threats from the sea as well as to seize its opportunities. DHI, Head of department, Coastal & Estuarine Dynamics, presenting the threat of sea level rise on the coastal zones of North of Europe. DEME, EuDA Environment & CO2 expert, presenting the threat of natural disasters on the coastal zones and dredging. European Ocean Energy Association Director, presenting the opportunities to exploit renewable energy from the sea. General Manager, Dredging Dep. & Hydrodynamic at Boskalis, wrapping up and presenting the dredging know how and experience with these key global challenges. Aalst (BE) & Heusden (NL). At the occasion of the Belgian Presidency of the EU the Shipping Working Group of the European Council was introduced to the (European) Dredging Industry, the Belgian Dredging Federation and EuDA. The Group was then given a guided tour of the installations of Jan De Nul in Aalst and participated to the ship launch of DEME's Victor Horta. EuDA would like to thank Jan De Nul and DEME for their kind support and sponsoring of the event. Sustainable Development is the 'development which meets the needs of the present without compromising the ability of future generations to meet their own needs' ¹. This translates into development strategies that support and respect the economy, the society and the environment. The theme for 2010's Open Part of our Annual General Meeting is 'Man and Nature' and will elaborate on two of the pillars for the sustainability of dredging operations: the human and the environmental aspects. This also coincides with 2010 being declared "IMO year of the Seafarers" and "UN year of Biodiversity". With regards to the social aspects and more particularly the working conditions onboard ships, the 'Maritime Labour Convention' will be presented along with some of its possible consequences for the dredgers. Concerning the environmental aspects, two specific initiatives implementing the concept of 'Building with Nature' will be presented: ECOSHAPE in the Netherlands and 'Vlaamse Baaien 2100' in Belgium. EuDA will present the conclusions of its workshop on 'Green Innovations keep the European Dredgers at Global Leading Edge' and the European dredgers' perspective on 'Building with Nature'. ISF Director of Employment Affairs, presenting the MLC, its process and the issues for the shipowners. EuDA Social Committee, presenting the issues for the dredgers and the findings of the EuDA Survey. Building with Nature Programme Director, presenting ECOSHAPE. Vlaamse Baaien 2100 Board member, presenting Vlaamse Baaien 2100. Chairman Environment Committee, presenting the conclusions of EuDA's Workshop on "Green Innovations keep the European Dredgers at Global Leading Edge". This one-day workshop was organised by EuDA to gather the views of the European Commission and the different stakeholders on the subject of the European Dredgers' initiatives stimulating "Green Innovations". From its traditional image in the public, European dredging has evolved in the last decades into the key activity in new land and waterways creation, in protecting and strengthening of sandy coastal areas and in maintaining the depth of waterways with relatively clean bottoms. As more and more clients and stakeholders consider sustainable development as increasingly important, environmental and ecological aspects of dredging activities have become strategic issues of paramount importance to keep a leading edge over foreign competitors. European dredging companies are therefore taking the lead in behaving responsibly and contributing to a cleaner and more sustainable (marine) environment. 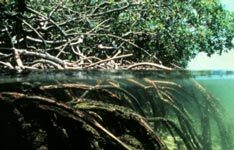 How to economically apply the ecosystem's approach in marine coastal management? How can forces of nature be put to use in shaping coastal structures and works? Can industry create a win-win-win situation with positive economical, societal and environmental impacts?. "Green Innovations keep the European Dredgers at global leading edge"
Antwerp University: Prof. Patrick Meire, "Ecosystems in marine environments"
European Commission: Mrs Birgit Snoeren, DG Environment, "EU environmental policy context marine and coastal areas"
THE NETHERLANDS: Mr Stefan Aarninkhof, ECOSHAPE, "Building with Nature: Motivation - Concept - Program"
BELGIUM: Mr Bart Verboomen, Vlaamse Baaien 2100, "Flanders Bays Safe, natural, attractive, sustainable, developing"
Port of Rotterdam: Mr Tiedo Vellinga, "MAASVLAKTE 2 Monitoring and Evaluation"
MALSF: Mr Richard Newell, "Marine Aggregate Levy Sustainability Fund (MALSF), Green Innovations"
This one-day workshop was jointly organised by CEDA, EuDA and ESPO. The aim was gathering the views of the European Commission, the Member States and the different stakeholders on the subject of EU Waste Directive with reference to dredged material. More specifically the workshop ambitions were to exchange best practices and knowledge on the subject of ecotoxicity (H14) for which guidance is not expected before the end of 2011. EUROPEAN COMMISSION: Mr. Gunther Wolff, D.-G. Environment, "The Waste Framework Directive and the list of Waste"
Additional EuDA background information: "The new Waste Framework Directive Philosophy"
BELGIUM: Mr. Frederik Roose, Ministry of Flemish Community, "Common practice on DM management in Belgium"
GERMANY: Mr. Axel Netzband, Hamburg Port Authority, "Dredged Material and Waste, the German perspective"
Mr. Chris Vivian, CEFAS, "Dredged Material Assessment in England and Wales"
Mr. Paul Beckwith, British Waterways and Mr. Phil Studds, Ramboll, "Classification of British Waterways Dredged Material"
Mr. Pieter de Boer, Ministry of Transport, Public Works & Water Manangement "Legislation and dredged material in the Netherlands"
Mr. Cor Schipper, Deltares, "Assessment of effects of chemical contaminants in dredged material on marine ecosystems and human health"
Mr. Axel Netzband, SedNet, "Sediments in European River Basin Management Plans"
"Questionnaire on EU national legislations concerning controls of dredging projects"
The current European Commission Guidelines on State Aid to Maritime Transport date from January 2004 and should be revised within 7 years of publication (2011). In the context of the current global financial and economic crisis, China’s approach to international trade (including its financing practices) is often distorting competition and creating unfair advantages in the field of dredging works in Africa and South America. The key actors from the Commission as well as Business Europe’s specialist on China will make presentations on these issues. A panel discussion moderated by Prof. dr. Filip Tuytschaever, Lawyer specialised in European & Business Law, will take place and conclude the open part. EuDA AGM Open-Part Programme "Future developments concerning State Aid to EU Maritime Transport, in the light of the rising threat from China"
"Next revision of the Guidelines on State Aid to EU Maritime Transport"
"The 2004 Guidelines on State aid to Maritime Transport and their recent application by the Commission"
"Reflection points, trade issues with China and impact of the Guidelines on Dredging Fleet"
"The European Dredging Industry, a maritime success story"
For (future) decision makers and their advisors in governments, port and harbour authorities, off-shore companies and other organisations involved with dredging projects, the International Association of Dredging Companies in co-operation with UNESCO-IHE is organising its well-respected International Seminar on Dredging and Reclamation at UNESCO-IHE, Delft, The Netherlands in June 2009. On 9 December 2003 a workshop on the "Waterways of Tomorrow" took place at the European Parliament in Brussels.